The name of this school of music derives from Kirana or Kairana, a village in Haryana state of central India. It is the birthplace of Ustad Abdul Karim Khan (1872-1937), who was one of the most important musicians of this Gharana and of Hindustani music in general in the twentieth century, and considered by some to be the real founder of the Kirana Gharana. A frequent visitor to the Court of Mysore, Ustad Abdul Karim Khan was influenced by Carnatic music. Much to the credit of Abdul Karim Khan, today most Hindustani musicians from Karnataka and Maharashtra are exponents of Kirana Gharana and it has imbibed many of the features of the Carnatic tradition. Common traits of Kirana Gharana include systematic elaboration of a Raga, improvisation in the vilambit laya, and slow spacious alaps employing meendkari. The style is renowned for its melody and sweetness. The lineage of this Gharana includes Beenkars and Sarangi players. Influence of Sarangi is clearly noticeable in the style of many exponents. 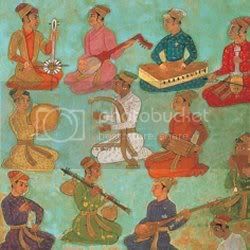 Besides the above mentioned artists, famous names of Kirana Gharana include Hirabai Barodekar, Sawai Gandharva, Gangubai Hangal, Basavraj Rajguru, Channulal Mishra, Prabha Atre and many more. As with other Gharanas, the list is long.